« The U.S. Recreational Transportation Sector Tells the Rest of the World to Go Out and Play! Francisco Sánchez serves as the Under Secretary of Commerce for International Trade. Follow him on Twitter @UnderSecSanchez. Healthy economic development depends on a healthy transportation system. That’s because people depend on everything from boats to trains to get to work, move their products, and help customers shop at their stores. Across the globe, as economies push for more growth and development, there is increasing demand for transportation-related products and services, presenting an incredible opportunity for U.S. businesses. 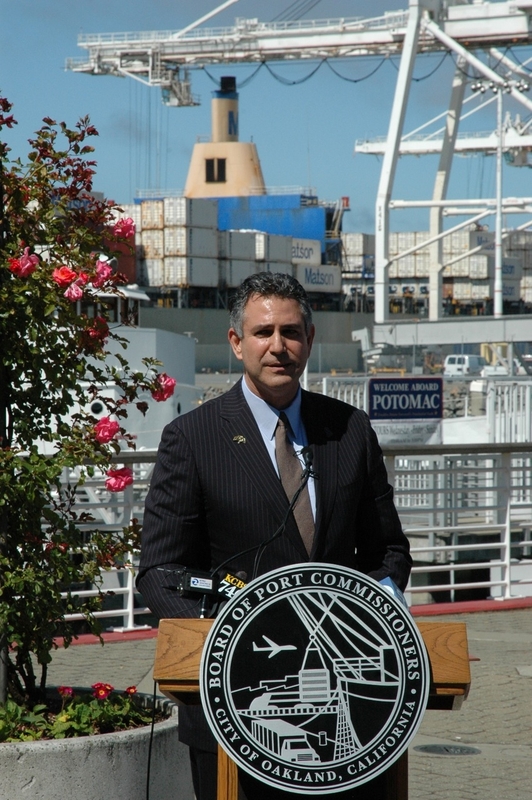 Under Secretary Francisco Sánchez during a ceremony formalizing a partnership to promote exports between ITA and the American Association of Port Authorities. For that exact reason, a major focus of our work at the International Trade Administration is on the transportation sector. As you’ll see in this issue of International Trade Update, we’ve been working to help U.S. businesses in this field succeed in a number of ways. For example, I was proud to participate in the Farnborough International Air Show, the world’s largest aerospace trade exhibition of 2012. Every other year, the global aerospace industry descends on England to exhibit their latest products and initiate partnerships. This year, $47 billion worth — that’s billion with a ‘b,’ — of orders were announced during the show. As the largest aerospace industry in the world, this one sector contributed more than $89 billion in export sales to the U.S. economy in 2011, a 9 percent increase over the previous year. Furthermore, according to a study by the Economic and Statistics Administration of the Department of Commerce, aerospace directly supported more jobs through exports — 488,000 —than any other industry in 2011. Other promising transportation sectors that achieved significant export shipments last year include motor vehicles ($63.4 billion), motor vehicle parts ($53.2 billion) and ships and boats ($2.4 billion). Behind all these numbers is a significant story. Every time a business makes a sale abroad, that impacts bottom lines, jobs, communities and futures here at home. Clearly, there are significant possibilities in this space. And the good news is that in the first five months of 2012, transportation equipment accounted for nearly $101 billion of U.S. exports, up 17.2 percent from the same months of 2011. ITA is committed to keeping this momentum going. We continue to hold trade missions focused on transportation, including some later this year to South Africa, Zambia and Turkey. We support the President’s recent announcement to help modernize and expand 5 major ports in the United States, thereby helping American businesses reach overseas markets more efficiently. ITA is committed to keeping this momentum going. We continue to raise a lot of awareness for our programs and will work hard to promote international trade, open foreign markets, and create jobs and opportunities for the American people. Together, we can help the world meet its transportations needs far into the future, while strengthening businesses on our shores.